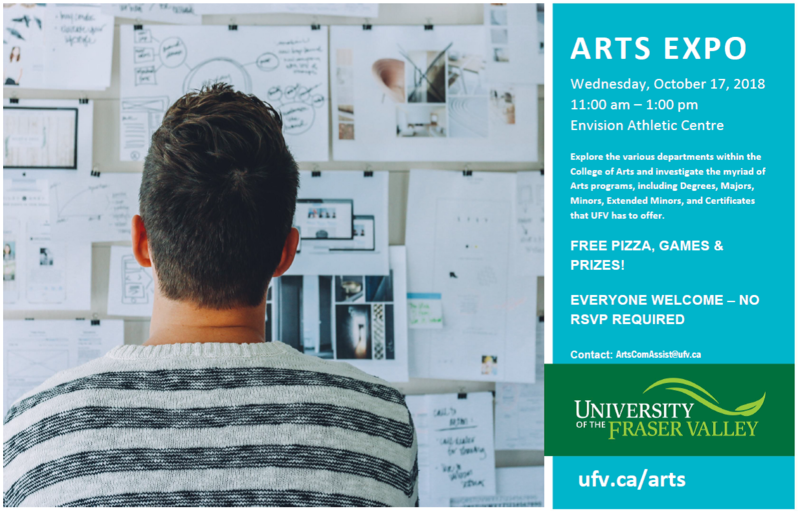 Explore the various departments within the College of Arts and investigate the myriad of Arts programs, including Degrees, Majors, Minors, Extended Minors, and Certificates that UFV has to offer. DROP IN FOR FREE PIZZA, GAMES & PRIZES! !